State themed Projects are all over the map! In case you haven’t noticed, I’m a little bit obsessed with state shaped items. 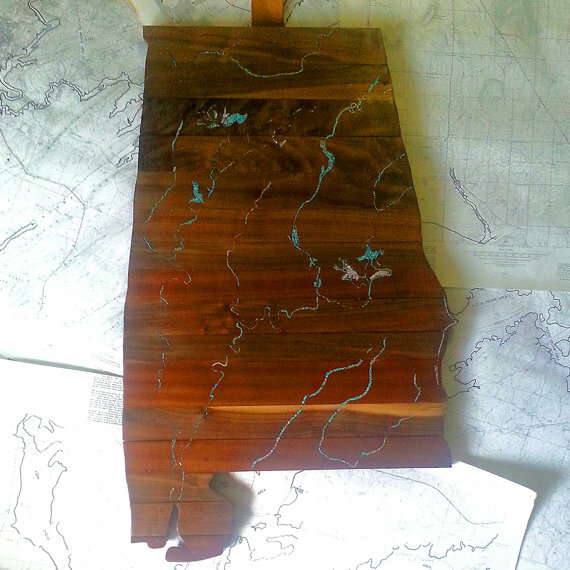 I love the shape of my home state of Alabama. 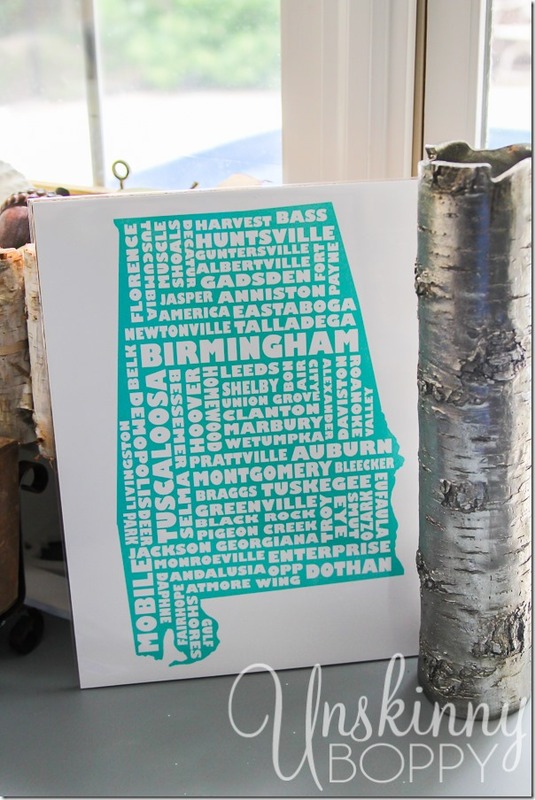 There are a few states in our Union that have easily recognizable shapes, and I feel like Alabama is one of them. 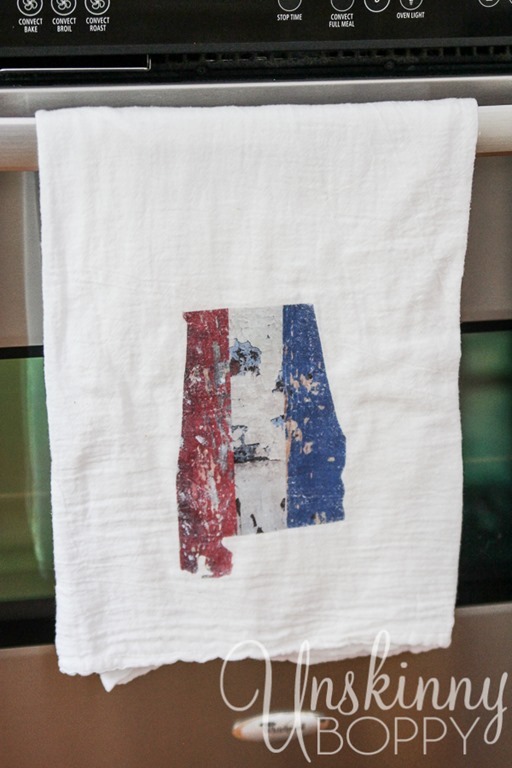 It’s a mirror image of Mississippi, so I guess that could be confusing to some. 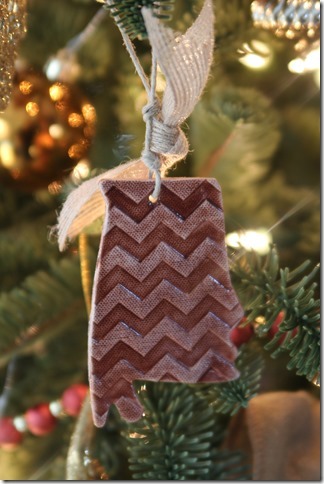 But for someone born and raised in the Great State of Alabama I am a big fan of decorating my house with Bama pride. You might have noticed this cutting board in yesterday’s post about my must-have kitchen gadgets for Whole 30 kitchens. 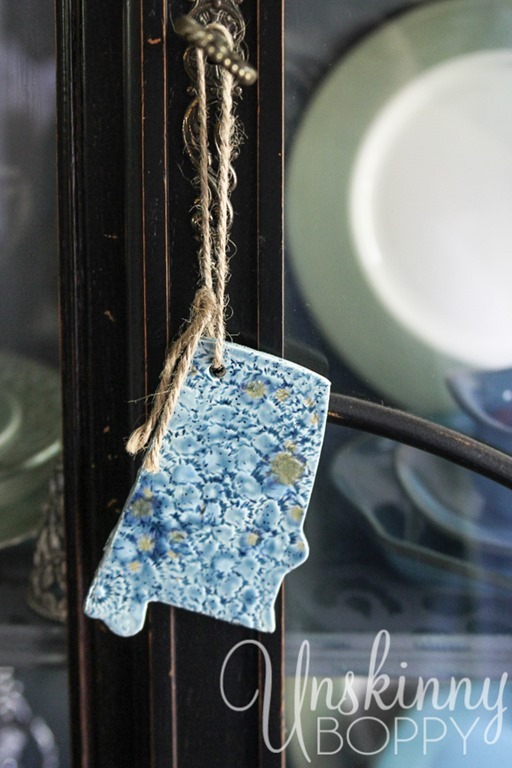 Since I got a few questions about it I thought I’d do a round up of all of the Alabama shaped items that I love so you can find some of your own state-themed gift ideas. Here you go! 4. 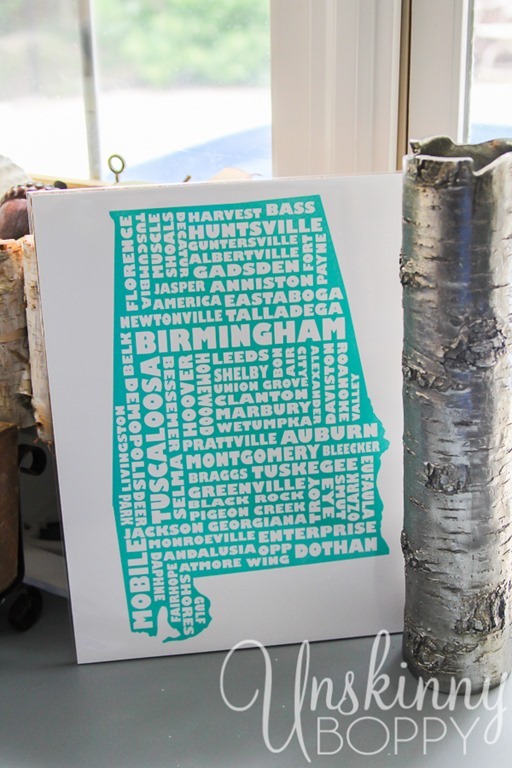 State print typography by MapMyState. 7. Painted Alabama-shaped Rock. 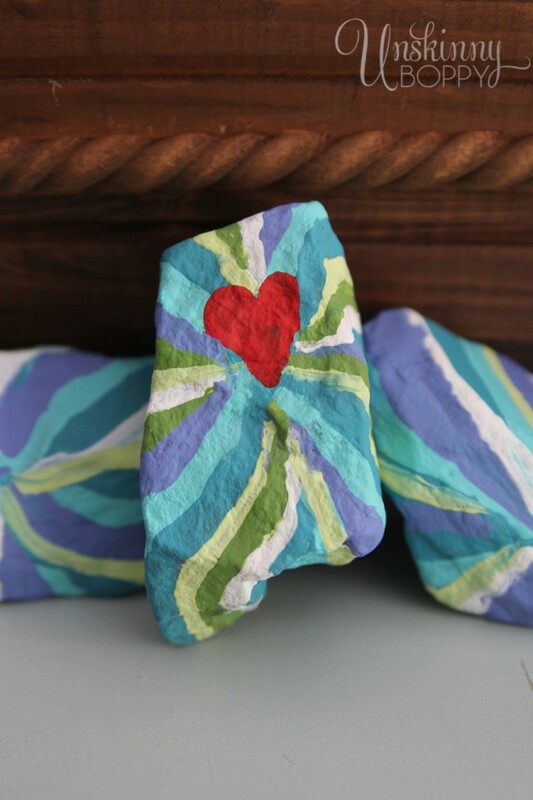 Found this rock, it looked like Alabama, so I painted it and put it in my window sill. Easy! Here are a few other great ideas for showing your state pride! Do you have any favorite State shaped decorating (or fashion) ideas? Leave me a comment and tell me where I can find more cute stuff to feed my addiction. Pretty please, with an Alabama on top. EDITED with this late, great addition to the party. LOOK AT THIS!!!!!!!!!!! 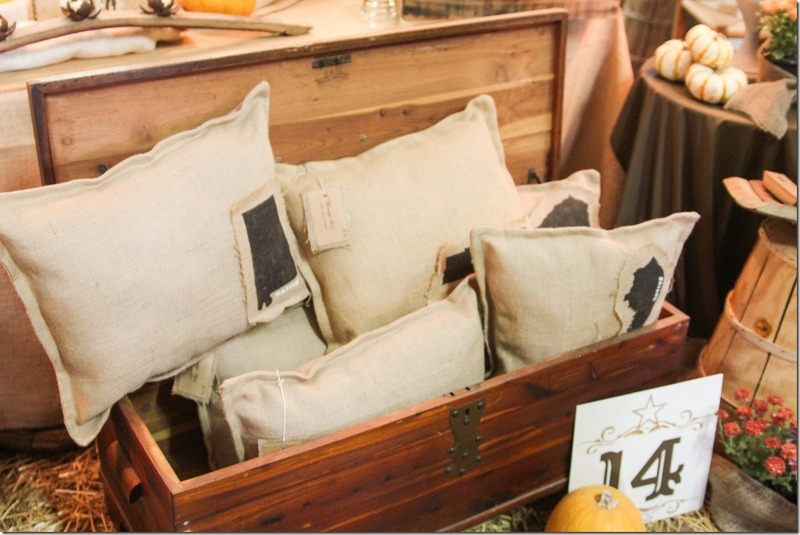 Have you ever in your life seen anything as beautiful as this piece from my friends at Digs Designs??? TALENT. Amazing, amazing talent. 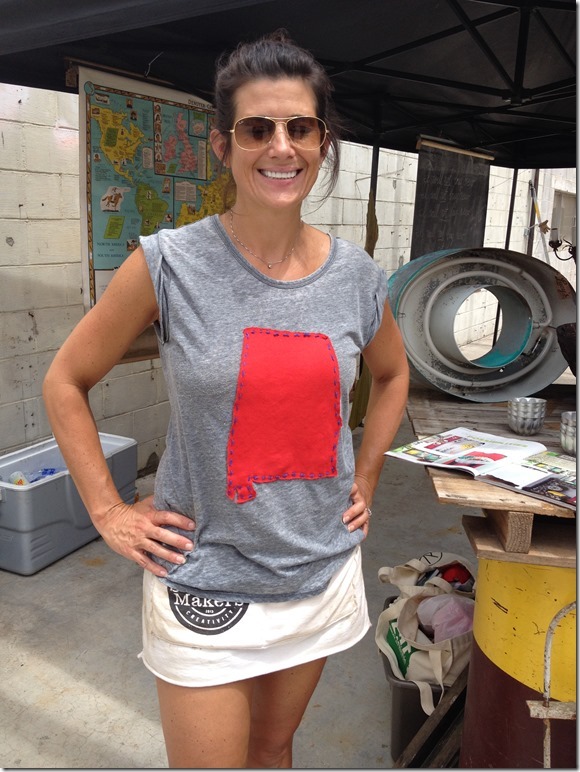 If you need a one-of-a-kind gift for someone who LOVES Alabama. Look no further, friends. I wish it were mine! I’ve always loved maps and states and have put wall maps up in my boy’s rooms and play spaces for years. My favorite is my silver charm bracelet that has charms of all the states I’ve lived in: Alabama, Florida, Georgia and Louisiana . . . all the good ones! How cute and fun. I love the cutting board, perfect. 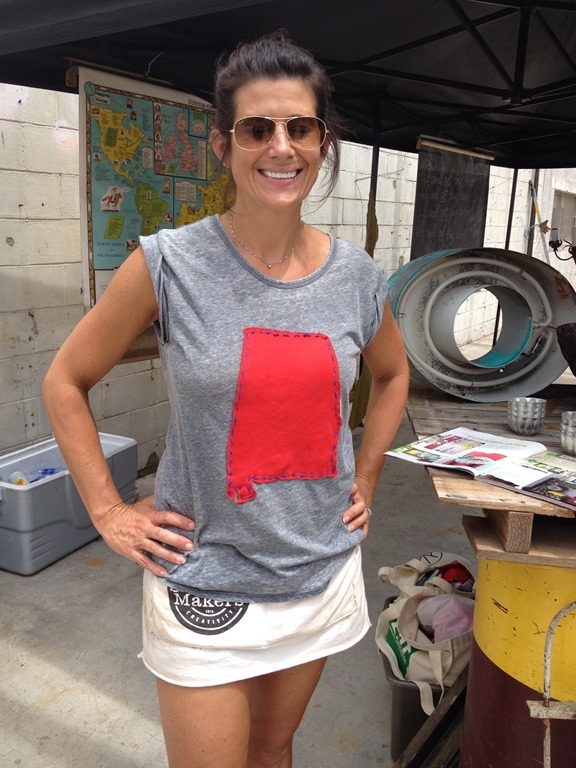 Thanks for including our state project! Side note: You totally sold me on Lightroom at Haven. We have it and my husband kept trying to show me but my eyes would glaze over every time. I totally stayed away during your entire presentation. Thanks! Beth, this was a great idea for your blog post. I loved it! 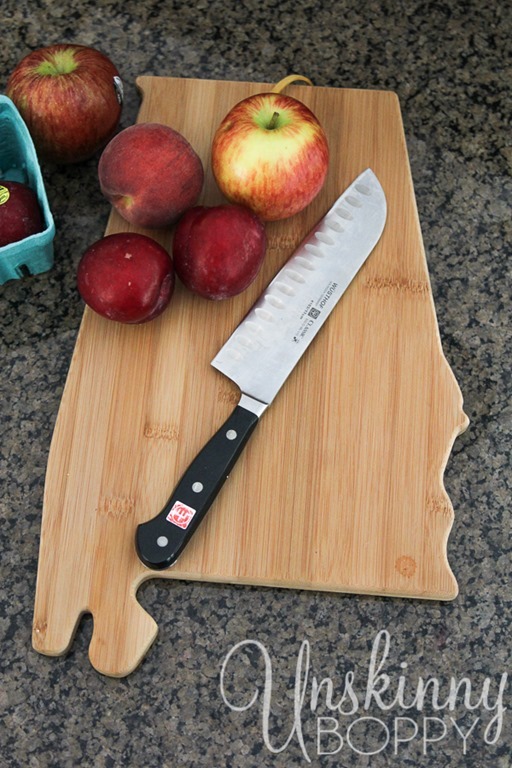 Love my Alabama cutting board, too.